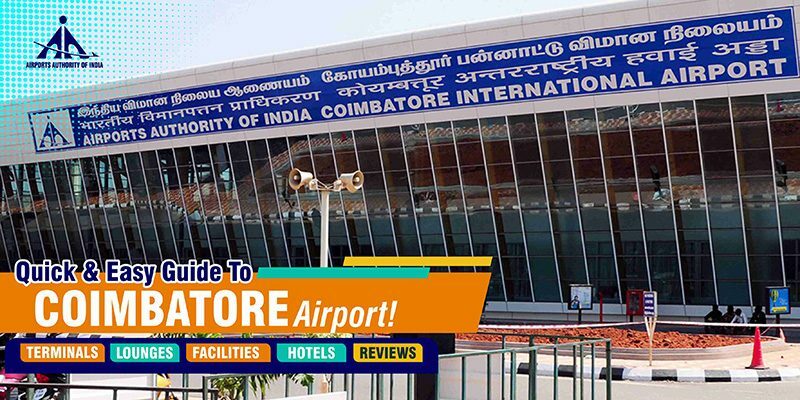 A Quick & Easy Guide To Coimbatore Airport For First Time Visitors! Coimbatore Airport is an international airport which serves the city of Coimbatore situated in Tamil Nadu. 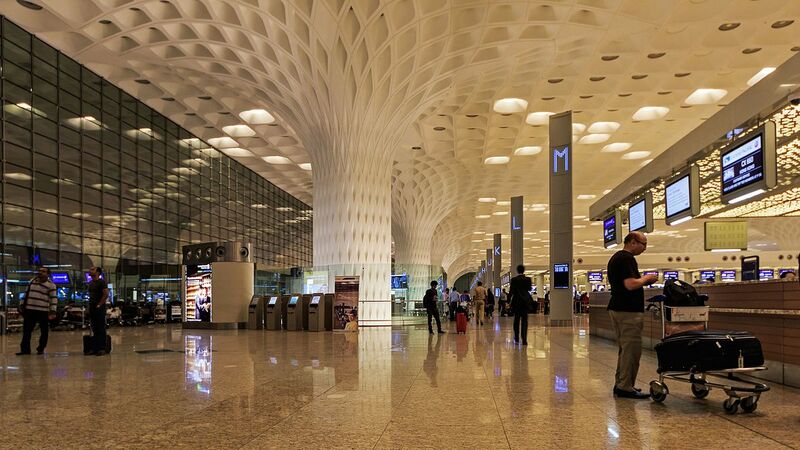 Being located in Peelamedu, it is the 19th busiest airport in India in terms of passengers handled. The airport was previously known by the name of Peelamedu Civil Aerodrome. Coimbatore Airport code is ‘CJB’. The airport is also the 2nd largest in terms of passenger traffic and cargo after Chennai International Airport. The airport provides direct connectivity to 12 domestic and three international destinations. It also serves six domestic and four international airlines. Talking about the terminals, there is only one terminal at the airport. This terminal serves both the domestic and international passengers. Along with that, there is a separate cargo terminal too. Passengers can enjoy a number of facilities at the airport, including free trolleys, wheelchair, medical center, child care room, assistance for aged and challenged passengers and much more. There is also a lost and found department for your lost baggage at the airport. Other amazing stuff at the airport includes the duty-free shopping, restaurants for delicious food and drinks, general taxi service, etc. Major airlines like Air India, IndiGo, Jet Airways, JetLite and SpiceJet offer its services at the airport and connect the city with all the major parts of the country through its domestic flights to Coimbatore. For international flights, Air Arabia and Silkair operate flights to Coimbatore. In addition to that, the airport also supports one runway that is 9,760 ft in length; accommodate larger aircraft. The airport was also extended in 2008 at a cost of US$12 million. Aerobridges, parking bays, and Instrument Landing System were added. After that in the year 2010, new domestic and international divisions were added to the already existing common terminal. Coimbatore International Airport also supports a parking management system. It has a capacity to accommodate nearly 300 cars. And there are two hangars in the airport too. One of which provides housing for the planes of Coimbatore Flying Club and the other one provides shelter for private carriers. Construction of two additional parking bays and two new aerobridges are presently underway. 2 Hotel Royal Chambers 6 minutes from the airport) Airport shuttle service is available upon request for a fee. 3 KR Residency (6 minutes from the airport) No airport shuttle. 6 Fairfield by Marriott Coimbatore 0.4 miles from Peelamedu Airport with facilities like free parking and breakfast. Currently, there is no pay-per-use lounge available at the airport. There are in total 4 ATMs or cash machines available at the airport. Their respective locations are at the arrivals, departures, parking area, and at the check-in area. If you are traveling with a baby or infant, you can get the glimpse of the child care rooms at the airport. The plus point is that these are available free of charge. Passengers can also avail the baggage carts at the airport, without any charge. Passengers can also avail the services of currency exchange at the airport. These are located at the arrivals and departures. Duty-Free shopping is available for the passengers at the airport along with a small selection of shops selling sweets, jewelry, etc. Along with the baby care facilities, family services are also available at the airport. Childcare rooms are available. Passengers can also enjoy food concessions throughout the airport which are operated with varying schedules. Along with that, vending machines dispensing drinks are available. In case of an emergency, passengers can avail the urgent and emergency medical care at the airport’s medical center. All you need to do is to ask the airport staff member for assistance. There are 2 rooms available for transiting passengers. At the Coimbatore Airport, Smoking is permitted in designated areas. There is also a smoking zone in the Departures Area too. There are a number of area hotels which offers the airport transportation service for their guests. Just contact your hotel of choice for availability and details. The distance from Coimbatore railway station from the city is around 18 km. 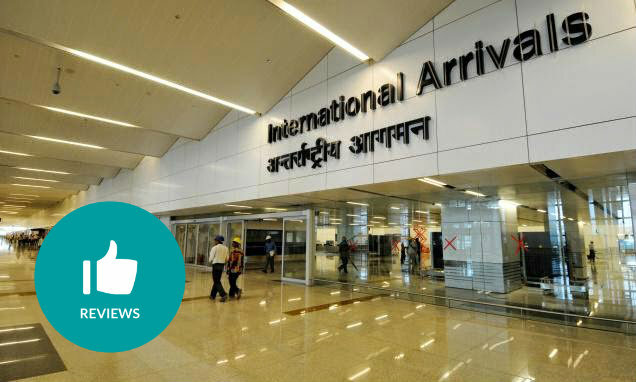 Hence, the travelers can easily take buses, cabs or auto rickshaws to travel to and from the airport. You will find the city bus stand, just 11 km away from the Coimbatore International airport. There are various buses available which are run by Tamil Nadu State Transport Corporation, TNSTC. It takes around 20 to 25 minutes to reach the bus stand from the airport. In the ground transportation area of the airport, Metered taxis and auto-rickshaws are readily available for the passengers on hire basis. It’s actually a small airport and lacks the standards of an international quality. Not all the airlines make service from here. Though, you can see very supportive staff. A small number of shops are in the waiting area. Eateries are available at affordable prices. Baggage check-in and security checks are quick and trouble-free. The front side of the airport does not look neat and improperly maintained. There is a lack of proper waiting area for arriving passengers. Some construction work is going on. First of all, the bathrooms are furnished with old parts like doors, not clean, not well maintained. There’s lack of fire exits instructions, no possibility to find staircase! The first-floor is accessed only via elevator. When I asked the people working here what will happen to us in case of fire he just smiled. I am seriously scared about this kind of reply. Not enough space for sitting and the seats are old too. I am not sure if it’s safe here. There’s even construction going on, and they don’t even care about the safety of people passing by. The construction is not protected at all! Please avoid for our own safety. Although it has the word International in its name, it’s more of a small regional airport, good only for its connections to Ooty, Palakkad and sightseeing spots of North Kerala. These sightseeing spots are at most 3 hours or less by the drive. The airport is low on the list of airline connectivity with only one or two daily flights per airline. But it is well connected to Coimbatore city and the railway station with busses (a bit of a walk away) and Ola Uber. Facilities at the airport are minimal, which is expected given that it is maintained by the government body Airports Authority of India. It is also located on the outskirts so don’t expect to find restaurants outside the airport. Pack your own food.